Located in Torrington, The Carnes Weeks Center is one of the best substance abuse treatment facility in that area. 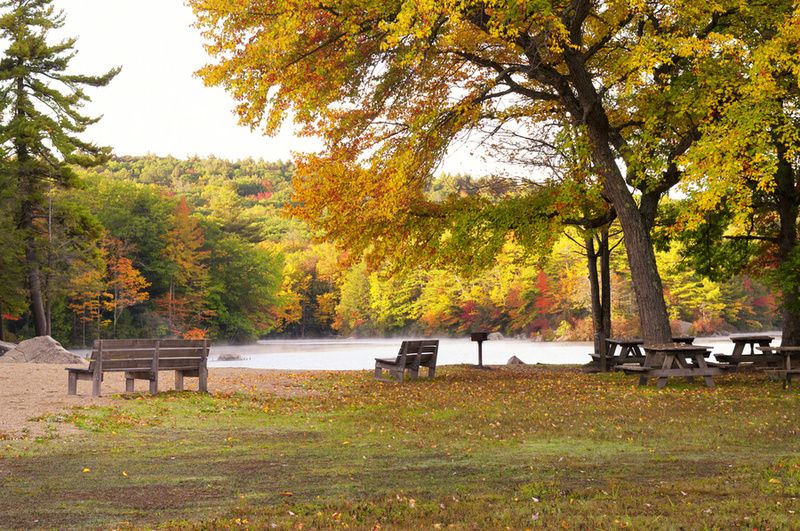 The McCall Foundation founded since 1980 is one of the most reputable landmarks and chemical dependency treatment facility in Connecticut. The McCall Foundation is an organization with several recovery outlets including outpatient services, transitional care, and prevention programs. The organization later opened up The Carnes Weeks Center which is the residential facility located in the organization’s main campus in Torrington, Connecticut, which is also a part of the New York Metropolitan area. The McCall Foundation is a private, non-profit, behavioral care agency which is focused on prevention, recovery and the community as a whole. The organization comprises of a group of dedicated professionals who are passionate about helping the individuals and serving them with all their hearts; every decision, service or programs that are made and offered is centered around their patients and their well about. This organization seeks to reduce or ease the pain and human suffering brought to the world by substance abuse by providing comprehensive, integrated substance abuse and mental health treatment to help patients and individuals live a healthier and more productive life. The McCall Foundation residential facility, The Carnes Weeks Center is a stately looking residential structure with an elongated porch shortened with pillars. Inside the part of the building named the Great Room, it has ceilings very high and southwest-style chandelier enclosing a large wood-floored space furnished with an area rug. The room also has a fireplace, high-backed chairs, sofas, and a grand piano. The co-ed facility has 10 occupancy bedrooms which can hold two individuals in each room. The quarters are furnished with a mirror, a large dresser and one armoire with a bar for hanging clothing articles. Males and females are separated by floors and each floor has two bathrooms, one multiple another single stall. One of the bathrooms at the women section has an en-suite bathroom which is available on a first come, first serve basis. The women’s section also has a TV room which individuals can watch at leisure times after 6 pm and clients can use computers in the facility for research too. Individuals are served with notorious meals in this facility. Client’s enjoy meals like cereal, pancake, muffins, and eggs for breakfast. For lunch, clients can feast on items like an array of sandwiches or slices of pizza. During dinner, clients are served a variety of notorious foods which may include: rice and chicken, cheeseburgers and quesadillas and all dinners are accompanied by vegetables or side salads. The facility accommodates special dietary request which is discussed upon admission. Caffeine supply is limited and candy is not allowed in the facility. Snacks like cakes, fruits, peanuts, and ice cream are served in the facility. The McCall Foundation offers its clients medically supervised programs which their patients undergo to help them comfortably withdraw from abusive chemical substances like alcohol, opiates, painkillers, cocaine etc. through medication and treatment. Founded in 1980, The McCall Foundation has been operating for over 38 years of service providing its participants with experienced services. The residential program The Carnes Weeks Center is a perfect choice for those who want to have a solidly constructed day and a kick start on sober living. It gives a chance to its patients to work in themselves both internally and externally to achieve a better personality using evidence-based treatment in a very attractive environment at a reasonable cost. Maria has been serving the community through The McCall Foundation since 1997. Being part of the prevention team, she has developed a parent education program which has been replicated throughout the community and all around the state. She earned her Bachelor’s Degree in psychology from Springfield College and a Master’s Degree in social work at UCONN. The facility is happy to have her and so far, there has been a sign of progress since her leadership. Dr. Nirmal is the Medical Director and Staff Psychiatrist of The McCall Foundation. She provides medication management, psychiatric evaluations and clinical supervision of the foundation’s team. She specializes in substance abuse, co-occurring disorders, and mental health disorder. She worked previously as the medical doctor of outpatient services at Charlotte Hungerford Hospital in Torrington, CT.